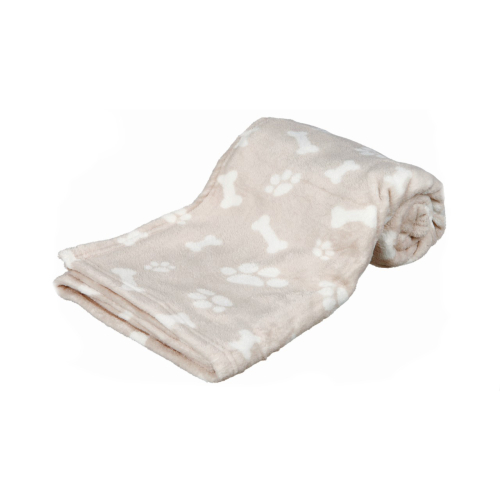 The Trixie Kenny Blanket is plush, soft and cuddly. Protects furniture from dirt and pet hair. Finished with a paw and bone print. Machine washable.